U.S. special representative for Syria James Jeffrey had talks in Ankara during a meeting for a joint working group on Syria, a few days after he suggested the U.S. wanted the Astana process — the three-way negotiations between Turkey, Russia and Iran — to be brought to an end. The joint working group on Syria would focus on issues regarding the east of River Euphrates, particularly the presence of the YPG, Foreign Minister Mevlüt Çavuşoğlu had said earlier. The joint working group will convene in Ankara to discuss “what will be done in the east of Euphrates,” Çavuşoğlu told reporters on Dec. 5, stressing that the last paragraph in a road map drawn for Manbij envisages that as long as the Manbij part of the road map is finalized, it will also be applied to the east of the Euphrates and the other regions of Syria in the north to maintain stability there. 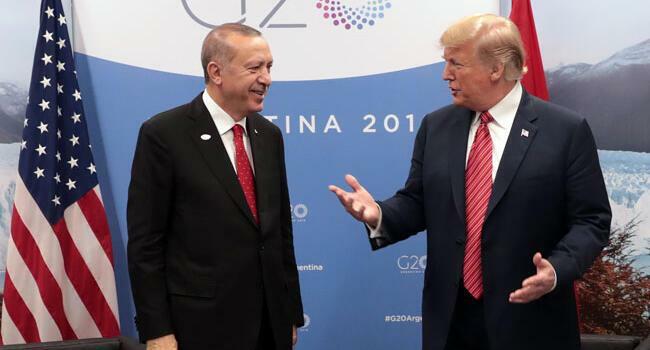 Turkey and the U.S. will make efforts together in order to hand over the administration of those areas to the locals of the region, according to the Turkish foreign minister. International efforts to end the war in Syria and to launch political process were also on the agenda of the meeting. Recent remarks by Jeffrey undermining the Astana process have, however, kept Ankara irked. On Dec. 3 Jeffrey suggested ending the Astana talks on the future of the country, promoting the U.N.-led Geneva talks. “The U.S. view is let’s pull the plug on Astana,” the envoy said at a briefing in Washington, claiming that the Astana parties — Russia, Turkey, and Iran — have failed to advance efforts for a Syria constitutional committee at a meeting last week. Jeffrey said the United States would propose ending the competitor to the Geneva talks when U.N. Syria envoy Staffan de Mistura departs his seat at the end of the year. De Mistura is due to give perhaps his final report to the U.N. Security Council on Dec. 14. Norwegian diplomat Geir Pedersen has been named to succeed him. 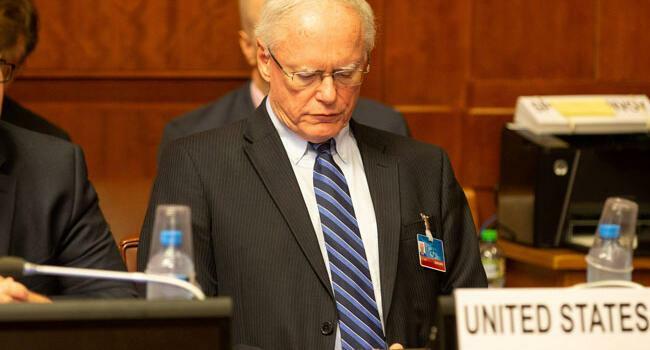 If de Mistura is unable to report that he can convene a constitutional committee in Geneva by the end of the year, Jeffrey said it would be the U.S. view that Pedersen take a different approach. “It is very clear that the Damascus regime, the Russians and Iranians want to see the ‘three Rs,’” Jeffrey said. “It is a wrongful statement. The statement by Jeffrey is unfortunate. 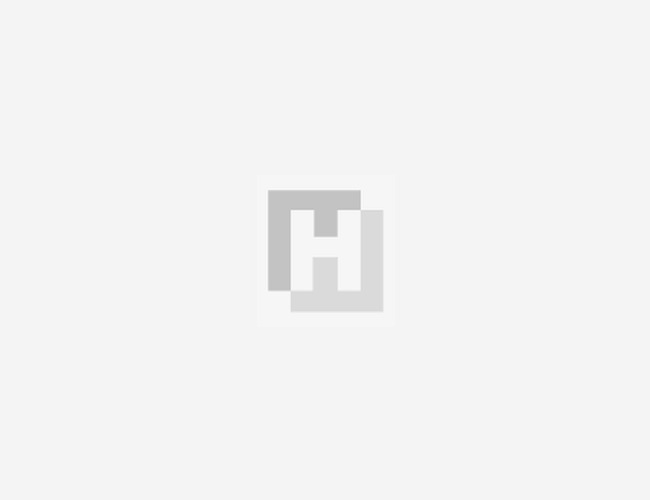 I don’t think those were his own thoughts,” Çavuşoğlu told reporters on Dec. 5 and added Ankara will raise the issue during talks in Ankara for a joint working group. “If the cease-fire in Syria is still preserved, even despite the violations, if today we can still talk about a political process, if we can discuss the constitutional committee… they have been achieved thanks to the Astana process and Sochi [talks],” he said. “Turkey never allowed Astana and Sochi to become alternatives to the Geneva process; international legitimacy is very crucial,” he said. “But nothing happened in Geneva, no steps were taken [in Geneva] on the issues I referred to, not even a real meeting,” he added. 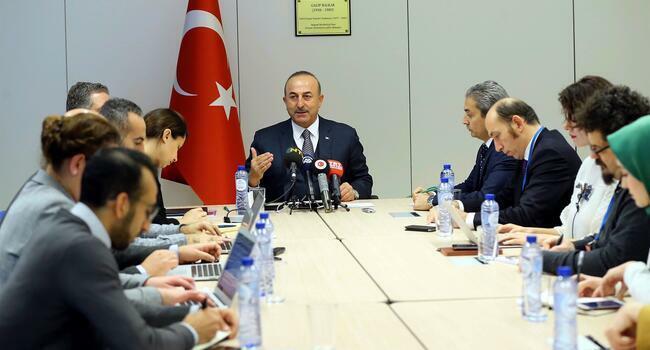 “If we have been able to come to this point, it was thanks to this process,” Çavuşoğlu said, noting that efforts should be made for a contribution similar to the four-way summit of Turkey, Russia, France and Germany, instead of trying to isolate the Astana process, the minister said.